The best way to look at your garden differently is to show it to someone who has never seen it before. A few springs ago, I was showing someone my garden for their first time and we came across a lone iris plant by the side of the house. 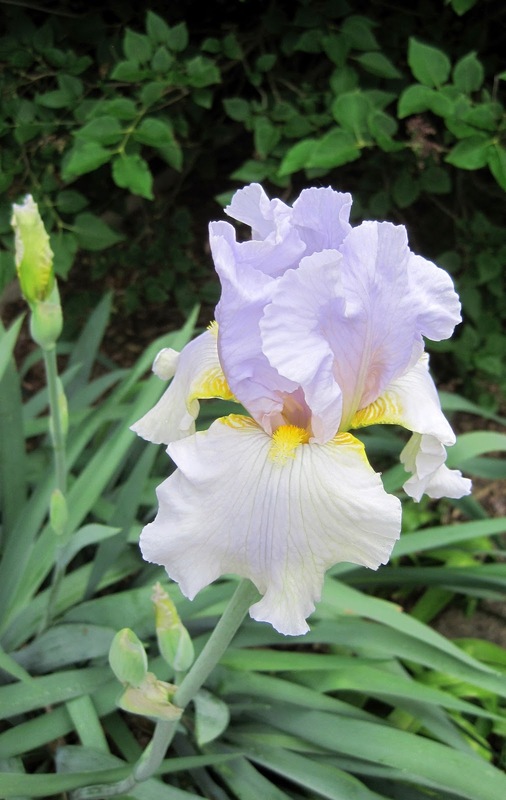 It's one of those old-fashioned bearded iris that many people remember seeing for the first time in their grandmother's garden. She asked what color the blooms were and I told her I didn't remember because after blooming the first spring after I planted it, I didn't think it had bloomed since. 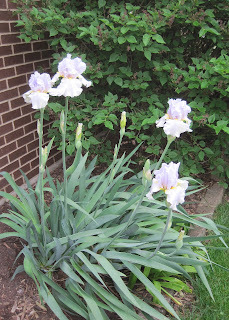 That meant of course, that I had left an iris plant grow in my garden without blooming for at least ten years. She then asked me the obvious question, "What's wrong with it?" Which was probably followed by the thought, "What's wrong with you, Carol, that you would leave an iris growing in your garden for ten years without it blooming and you didn't do anything to try to get it to bloom, like move it to a sunnier spot, see if it was planted too deep, or needed fertilizer or something?" Well, without explanation, change, or anything else happening, it bloomed last year. And it is blooming this year. Which means, of course, that I have great patience and can out-wait an iris. It may also mean that I am inherently a lazy gardener and I just got lucky. Believe it or not, I still have the packaging from when I bought this iris in the late 90's. It's called 'Dawn of Change', but I think I'll personally call it 'Lucky Lazy Patience'. It's a good sized plant now, I think I'll also maybe, possibly, dig it up and move it to a better location with more sun and some other perennials to keep it company. I just love it when laziness in the garden is rewarded. 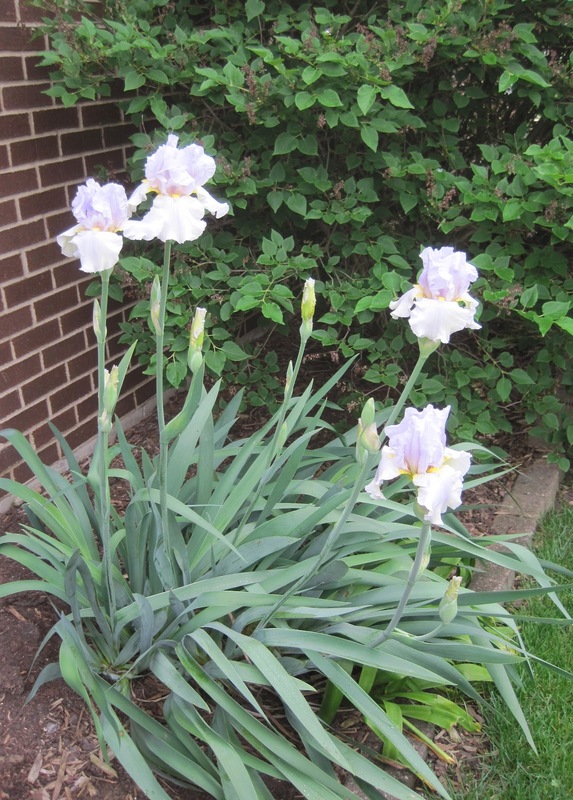 This iris is blooming beautifully and NOW you plan to move it. I must be missing something! Iris is one of my my top three favorite flowers! LOVE THEM in all hues and colors. I found a bronze color breaded iris a few years ago behing a huge bronze fennel. Don't think it had bloomed in years. I think Bearded Irises are beautiful in someone else's garden. I only owant Siberian Iris in my garden.